How Did This World Famous Texas BBQ Get Started? 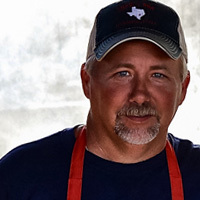 Kerry Bexley, owner of Snow’s BBQ, knew there was a demand for good BBQ in the small town of Lexington with a population of only 1100 people. Lexington has always been known for its Saturday BBQ. It’s just a tradition! Kerry and Ms. Tootsie Tomanetz, pit boss, discussed the possibilities in the late 90’s of opening a BBQ joint, but took no action until several years later. In November of 2002, Kerry stopped to visit with Ms. Tootsie, kicked the ashes around, and discussed again the opening of this joint. She told Kerry that if he was serious, they better sit down and have a real “heart to heart”. They did just that, and Kerry immediately started building the BBQ pits. March 1, 2003, was the first day of business… and Kerry’s intuition was right. Good BBQ, good service, and friendly people has helped to keep the fire burning, maintaining a steady and consistent business for the last five years. Along with Ms. Tootsie and Kerry, his daughters help out each Saturday morning learning the importance of responsibility and dealing with the public. 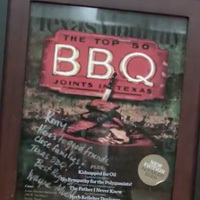 The fire almost got out of control in May 2008 when Texas Monthly magazine named Snow’s BBQ as the best in Texas! Since that time, the entire staff at Snow’s BBQ has been doing everything possible to keep up with the demand and most important, maintain the quality. It looks like a long road ahead, but it is a challenge everyone is ready for. We will keep this fire under control!